I am duty-bound by the unofficial laws of the internet to annoy you with a post about food (#basic). Bear with me. Dining is central to any travel experience, and this is especially true of New Orleans, where the smell of seafood clings to your clothes wherever you go. While walking around the French Quarter, I am constantly tempted by the scent of something delicious carried out into the humid streets by a blast of AC. More often than not, I give in. Creole and Cajun food reign supreme in New Orleans, and though this has been wonderful for my palate, my figure is beginning to suffer. But I'll worry about that later. I've also spent some time exploring other cuisines, and so here are some of my recommendations to future bookpackers. I have to credit Yum's for my awakening (pun intended) to the world of Louisianan cooking. Here began my love affair with the po' boy. For anyone unfortunate enough to be ignorant of this marvelous food item, a po' boy is a sandwich that contains some type of meat—typically of the seafood variety—and can be dressed with lettuce, tomatoes, pickles, onions, or whatever other accoutrements your heart may desire. 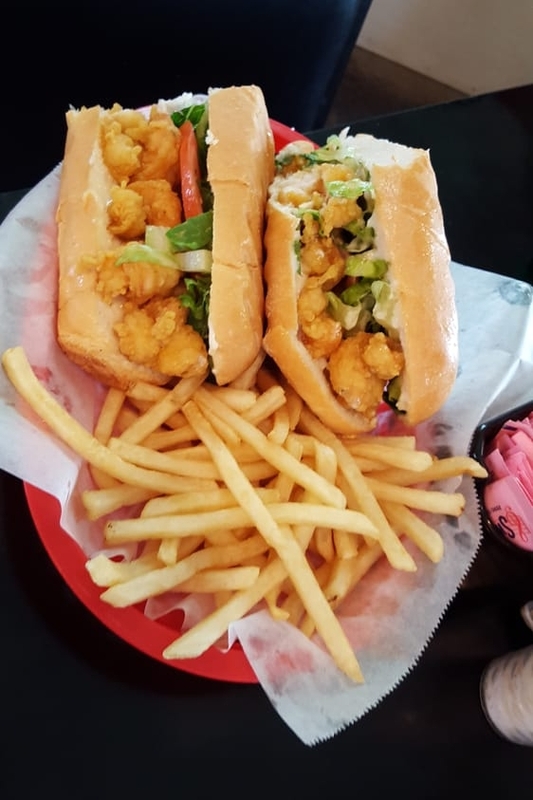 The cooks at Yum's make a mean catfish po' boy, but their shrimp po' boys are to die for, as Andrew himself will attest to. At first glance, Yum's may not look like much. You may hardly even notice it while driving through Grand Isle, but you'll be sorry if you miss it. Yum's is the perfect place to come to after a day of reading on the beach and swimming in the Gulf. It is always filled with lively locals and vacationers, and it's not hard to strike up a conversation with another group of customers—someone even invited us to visit his sugarcane farm. In short, Yum's is a must for any visitor to Grand Isle. We lunched at Boutte's during our drive up from Grand Isle to New Orleans. Like Yum's, Boutte's may appear deceptively unassuming. Make your way up the creaking steps, though, and you're in for an experience that will make you want to stay forever. Boutte's confirmed my undying love for po' boys. Crabmeat may make for a messy sandwich, but the mess is half the fun. The flavor is the other half. For those of you who may want to diversify beyond the po' boy realm, Boutte's crawfish pies and seafood gumbo come highly recommended by Alfredo. Though I don't have a picture of it, the baked potato (fully dressed) is also an excellent menu item. So if you're ever in New Orleans, be sure to drive down to Lafitte for some fantastic Creole cooking! Mother's is the self-proclaimed home of the "World's Best Baked Ham." Unfortunately, none of us ordered baked ham, and so I can't say if Mother's is deserving of that title. What I can and will say, however, is that their jambalaya is nothing short of inspirational. In fact, I've been annoying everyone for days by singing "Jambalaya" to the tune of Leonard Cohen's "Hallelujah" (I heard there was a secret dish / that Creoles make, and they use some fish, / but you don't really care for seafood, do you?). The sides are surprisingly tasty—I had no idea that green beans and tomatoes could taste so good. 4. Ray's on the Ave.
Ray's is a little place up in the Tremé run by some of the nicest people you will ever meet. And these people make some of the nicest food you will ever eat. I'm sure you're sick of hearing about po' boys at this point, but I need to extol the virtues of Ray's alligator sausage (you read correctly) po' boy. Its praises cannot be sung enough. As with any new type of meat, I was hesitant. I'm sure many of us have racked up the courage to try something new, only to be bitterly disappointed in the end. Not so with the alligator. Never smile at a crocodile, but always enjoy a gator po' boy. Golden Chips has 4.5/5 stars on Yelp for a reason. Their fries are amazing. Their chicken is amazing. Their sauces are amazing. Incidentally, I highly recommend the Creolaise sauce and the aioli sauce. 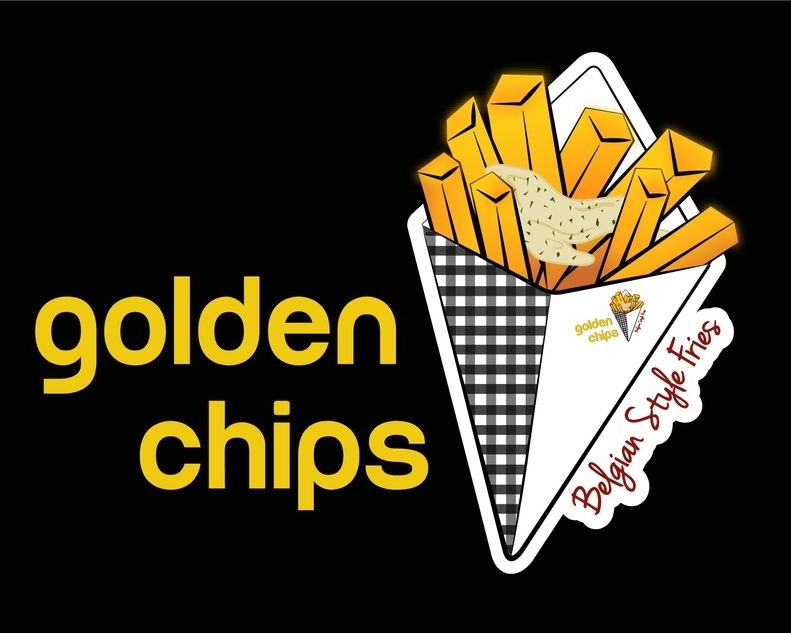 If you're wandering around the French Quarter and looking for a place to eat that won't drain your wallet but will fill your stomach, Golden Chips is the place for you. It's only a block or so away from Jackson Square, and I definitely suggest ordering takeout and picnicking. Find a bench, read a book, enjoy the music, eat some chicken. What more can you want from life? Up in the Faubourg Marigny, Royal Sushi is a great place to go if you want to take a break from Creole/Cajun food. While there are several great Vietnamese places in the Garden District (the pho at Lilly's Cafe is delicious), New Orleans suffers from a dearth of Japanese venues, and so finding Royal Sushi was serendipitous. For a college student, instant noodles and packaged ramen are staples, but nothing compares to actual ramen from an actual restaurant. I chose a spicy tonkotsu broth with beef and added bok choy and kimchi, but I encourage you to be creative and come up with your own combinations! The handrolls are scrumptious as well, and if you want a good dessert, the red bean ice cream and fried cheesecake won't disappoint! Looking at the menu, the prices at Borgne can seem a little higher than at other restaurants, but once you realize just how much food is on your plate, the prices will begin to make sense. Once you take your first bite, cost will become a forgotten issue. I'm always hesitant to order sliders because they are often disappointing in portion and taste. Borgne's catfish sliders, however, are an exception; they prove that catfish is the king of all fish. 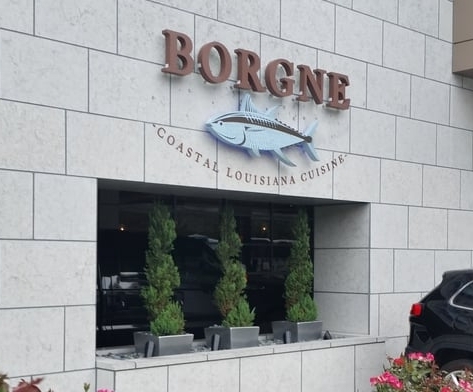 Red beans and rice may sound like a simple dish, but Borgne has mastered this simplicity; this Monday lunch special even comes with a fried pork chop. Borgne also knows how to make bread, shown by their marvelous crawfish ciabatta. The presentation alone is alluring, the taste even more so. As for the pork empanadas, the flavor of the sauce is like a curtain that slowly lifts to reveal the taste of pork. I don't know what sauce they used, but it contains just the right amount of horseradish to clear my sinuses and get my heart racing. In an act of gluttonous foolishness great enough to have been committed by the piggish Ignatius J. Reilly, main character in John Kennedy Toole's A Confederacy of Dunces, I attempted to complete the Tchoupitoulas Challenge at Creole Creamery. I maintain that I might be able to eat eight scoops of ice cream with eight toppings, but the addition of an entire can of whipped cream (disgusting even in concept) made the task practically impossible for me. Within a few minutes of eating, the sundae turned into a soupy mass of colors. Unfeasible challenges aside, Creole Creamery is a great place to stave off the humid heat with a cold treat. Their flavors are fantastic, especially lavender honey. Lavender may be a contentious ice cream flavor, but I am a firm believer in trying new things. If you're a more conventional person, I suggest you order a scoop of mango sorbet. If you can find an open seat (it's always crowded), relax, eat your ice cream, and enjoy the fact that there are still ice cream stores that haven't become hipster traps. No post about food in New Orleans is complete without mentioning Café du Monde, home of the fabled beignet in all its sugary glory. There is no way to sufficiently describe the joy of eating one of these divine confections, so I won't even try. Our waiter and dessert chef were so great that we had to get a picture with them! 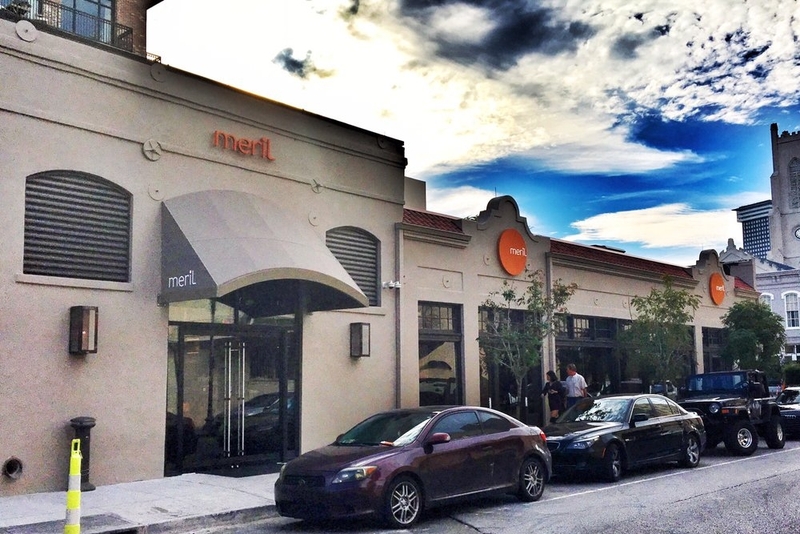 I've saved Meril, one of Emeril Lagasse's restaurants in New Orleans, for the end. Why? Because Meril is amazing. Though not a Creole or Cajun restaurant, Meril still draws from regional cuisine; the clam linguine and shrimp tacos are great examples of this. In this way, Meril is a true New Orleans restaurant; it combines the old with the new in a process of constant evolution. But enough philosophizing. I'm here to talk about food. Let me just say that I've never had better pasta. As for the shrimp tacos, sorcery was undoubtedly involved in their making. The different flavors involved—shrimp, lemon, corn flour tortilla, sambal mayo, onion, cilantro—are perfectly mixed with explosive force. Taking the first bite was a transformative experience—I ran the gamut of flavors and emotions. As for the chorizo flatbread, in Alfredo's own words, "the bread is flat but the flavor ain't." The desserts deserve their own paragraph. Between four people (Christopher, Alfredo, Ogechi, and myself), we ordered six desserts: banana cream pie, a chocolate crepe, salted caramel ice cream, cotton candy, raspberry lemonade sorbet, and pecan pie (both Ogechi and I broke into incredulous laughter when the check came). 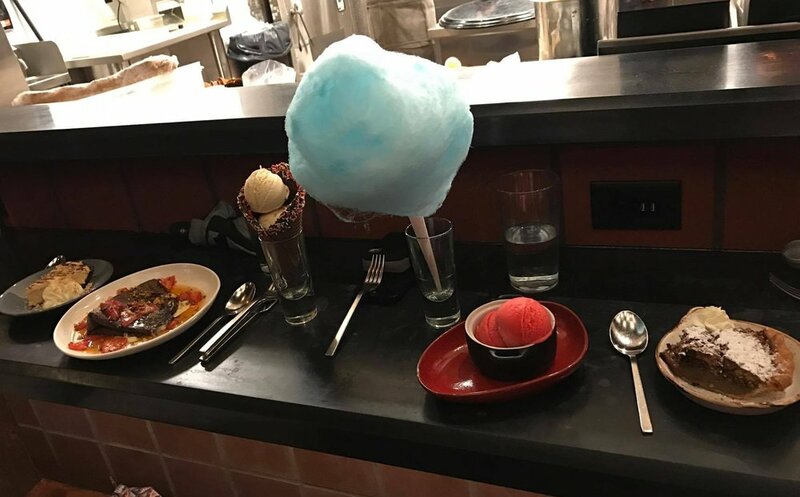 It's amazing that a classy establishment would serve cotton candy; clearly, Meril isn't afraid to have fun. The rest of my trip will be dedicated to finding a restaurant good enough to knock Meril off my "favorite" pedestal. It may be a futile endeavor. And tells us, you’re sweet. With the threat of a storm. On the night of May 18, 2017, just south of the Lafayette Hotel where we were staying, a protest took place around a statue of Robert E. Lee, raised high on a white column in the middle of the eponymous Lee Circle. The city had decided to remove this and other similar statues, as they stood as symbols of a romanticized Southern myth, Confederate nostalgia, and white supremacy. Several people had come to decry this decision, saying that the statue was a connection to their history. One man yelled, "Why start small? Take them all! Statue of Liberty next!" The drastic comparison of the Robert E. Lee statue to the Statue of Liberty made me realize just how valued these historical figures are by certain groups. For others who were there, however, the statue was seen as a reminder of slavery, oppression, and racism. Shouting matches turned into shoving matches, and though we were initially afraid that violence would erupt (as Ogechi describes in her wonderful post about the event), native onlookers around us laughed off the yelling as if it were nothing more than a game of insults between children on a playground. I wondered then about the way we navigate the transition between past and future identities. How do we change ourselves in order to move out of yesterday and into tomorrow? 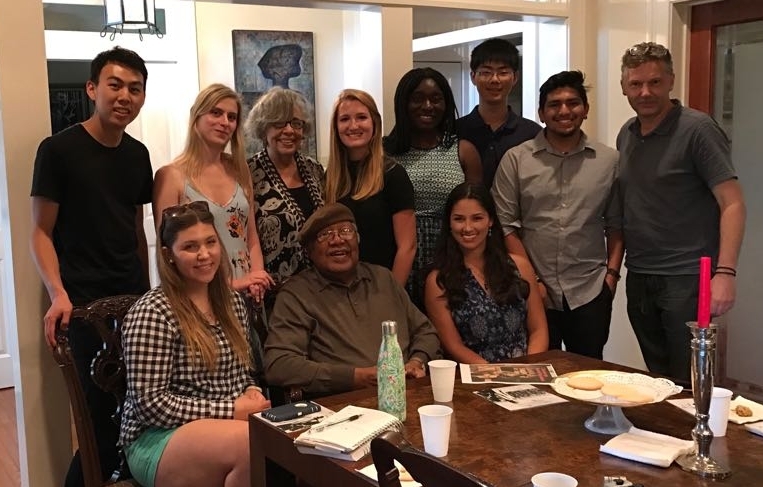 For New Orleans and the South at large, that change is most prominent in race relations, particularly those between white and African-American groups. The past must not be ignored—it must be confronted and accepted in a way that acknowledges and condemns the horrors of slavery, Jim Crow laws, segregation, police brutality, and all other forms of racism. Clearly, there are people who want to resist that change. Perhaps that is why history is often cyclical. Anne Rice’s Interview with the Vampire follows the story of Louis de Pointe du Lac, as told by Louis himself to an interviewer identified simply as "the boy." Louis is transformed into a vampire by Lestat de Lioncourt. In the first part of the novel, the two live on Louis’s plantation near New Orleans; they eventually move into the city, where Lestat transforms a young girl named Claudia. I’m writing about Interview with the Vampire here because it, to me, is a novel about change and identity. Both Louis and Claudia have to face the fact that they are now vampires, immortal beings whose lives can never be as they were before. This is a difficult transition for Louis especially, as he does not believe Lestat’s conviction that they are inevitably bound by their bloodthirsty, murderous vampiric nature. For Louis, being a vampire does not preclude morality and emotion, and he avoids killing human victims in favor of animals. He teaches Claudia to appreciate such values, tells her that "'our eternal life was useless to us if we did not see the beauty around us, the creation of mortals everywhere.'" Something that caught my attention in the novel was the way in which Anne Rice connects vampirism to slavery. In the most basic sense, she does this by setting Louis and Lestat on a plantation worked by slaves. Lestat often lures slaves into being his meals, and when the two vampires are forced to leave the plantation, they massacre the slaves in a gruesome scene of violence. On a more subtle level, however, Rice uses the vampire’s need for companionship to create a master-slave relationship between Lestat, the transformer, and Louis, the transformed. Both suffer in the "chains" of "loneliness," and they are bound to each other despite their conflicting views on what it means to be a vampire. Louis is a fascinating character to me because he lives through a historical transition from slavery to emancipation while struggling to free himself from Lestat and his own vampire identity. I was reminded of several themes and moments from the novel by one of the more civilized conversations that I listened to while in Lee Circle (the same one that Ogechi transcribes in her post). A woman named Sonya described her journey throughout the United States as an African-American and the way she deals with the past. Ignoring the expletives being hurled in the background, Sonya looked at us and said, "I have a difference even with my own African-American people, you understand what I’m saying? So there are times when I’m sitting in the middle." This difference, she explained, comes from having lived in different parts of the country and from having experienced an "eclectic community." It’s a sobering thought, the idea of being separated from your own people. Louis feels that same separation from Lestat, for whom being a vampire means "'[r]evenge against life itself. […] Vengeance, blind and sterile and contemptible.'" Louis, on the other hand, continues to seek emotional validation. He still feels the "'strong overpowering emotions of detached persons in whom emotion and will are one.'" Even as a vampire, Louis experiences "'a desire for communication.'" He longs to find a connection with the humanity he has left behind, and so he feels a type of love for Babette, the woman who runs the neighboring plantation. Louis’s capacity for emotion separates him from other vampires; he refuses to give in to what Lestat says is his vampire nature. Sonya, too, stressed the power of emotion. "When it comes to my looking at another race," she said, "I would tell them, 'Read the history, educate yourself. How would you feel? And if you do that, if at some point within, you don’t have a feeling of pain, you don’t have a feeling of compassion for an African-American, then you need to check yourself and say, 'why?''" "Why?" indeed. Why should Louis be bound by "vampire nature"? Why should anyone be bound by a cruel history of oppression? Why can we not reject our nature, our legacies, in favor of better alternatives? One of Sonya’s anecdotes stood out to me. "When I left Cali and was in Alabama," she began, "they had all these trinkets and whatever. I picked up a Confederate flag bracelet, and I was wearing it, and I didn’t even know what it was." She smiled at her own naïveté. "I walked into a bar, and I was talking to them, and they were looking at me, and then next thing you know we were just chitchatting it up. I remember them saying, 'How come the rest of them aren’t like you?' I actually had on a Confederate bracelet and didn’t even know that it was a Confederate bracelet. How does that happen?" Louis travels to Europe with Claudia in search of the origins of vampires. They are severely disappointed when they encounter vampires who are feral, insentient, and animalistic. Louis and Claudia live in ignorance of other vampires, and they are utterly shocked to discover an unexpected part of vampire history. They, like Sonya, live in isolated environments and are accustomed to a certain perspective. Sonya’s world was "West Coast, Northern California, San Francisco." When she came to the South, she encountered a different world. Since then, her newfound awareness has shaped her attitude about life. "Guess what the relationship between New Orleans and San Francisco is?" she asked. None of us knew. "They’re sister cities. The same energy, the freedom." And here is Sonya’s wisdom in all its brilliant glory. Despite the different experiences that she has had in New Orleans and San Francisco, she sees the commonality between the two cities. Louis also finds commonalities between his former human self and his current vampire self. He feels emotions in both forms. He fears the possibility of loneliness as a vampire, which is the same as aching with a need for love. And there is nothing more human than to desire love. There is no vampire nature, only human nature. This is the simple truth that Sonya understands and hopes that everyone else will understand: we are all human. That is how we move forward. New Orleans is the perfect place to learn this lesson. As bookpackers, we seek out the smallest moments that teach us the most, moments that "must be first known and then savored." Every moment is such a moment in this city, this "'magical and magnificent place'" in which all are human. Whatever else changes, our humanity is a constant common ground on which we all build our lives, our futures. Near the end of his interview, Louis tells the boy, "'But all during these years I had a vague but persistent desire to return to New Orleans. I never forgot New Orleans.'" Neither will I. Time passes much more slowly here at Grand Isle, an effect likely caused by the fact that the Wi-Fi connection in our lovely beach house is tenuous at best. The microwave takes longer to heat food, my phone charges at a sluggish pace, trawlers leave mild ripples in their wake. Ours is a general atmosphere of relaxedness—but not lethargy—that is perfectly suited to our reading purposes. It is so much easier to become immersed in the world of The Awakening, which is the very world around us, without the pressures of social media (though my Instagram account is due for an update). In many ways, coming to Grand Isle for the first leg of our bookpacking trip is the perfect start. Reading The Awakening right on the beaches where much of the novel takes place is almost uncanny. This is an excellent way to demonstrate what bookpacking is meant to be. We are able to travel to a region and learn about it through experience and literature, and so we are truly immersed in a journey that is both eye-opening and enjoyable. What makes bookpacking so profound is the chance to see how literature and reality reflect each other. Behind Kate Chopin’s vivid descriptions of Edna Pontellier’s mental and emotional turmoil, Grand Isle’s easygoing, carefree air can be sensed. 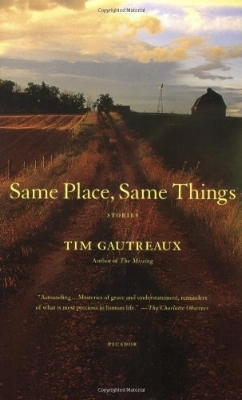 In the first few pages or so, Mr. Pontellier “idly” watches a “sunshade that was advancing at a snail’s pace from the beach”—Louisiana’s equivalent of tumbleweed. Also apparent is the importance of religion, specifically Catholicism, to the summer vacationers. One character, described only as “a lady in black,” wanders around constantly “telling her beads,” and others often take a ferry to Chênière Caminada “to hear mass.” Though Edna herself is not Creole, the characteristics of the Creole society which she essentially marries into are still prevalent in the novel. Something that fascinates me is how Grand Isle still displays a rather strange combination of this “apparent disposition to relax” and a sense of Christian prominence. As for the former, the fact that the island remains a popular holiday destination speaks for itself. The beaches and the “voice of the sea” remain “seductive” and “inviting” to all who can afford to rent a beach house for a few days. The latter is evident in the sign that reads, “Jesus Christ Reigns over Grand Isle,” which greets visitors immediately after first driving onto Grand Isle. The graveyard on the island is also an assemblage of crosses and icons and statues of Mary, which, I suppose, is not exactly atypical. The phrase is certainly a cliché, but it is an effective one. Grand Isle is truly a place where one can walk around with no particular destination in mind and take a stroll simply for the pure pleasure of it. The simple addition of five words changes the meaning of the phrase entirely. It now expresses a strong sense of religious fervor. While the idea that all who do not believe are lost is true from a Christian (or generally religious) perspective, the manner in which this sentiment is expressed is somewhat ominous. Lurking just beneath the surface of this statement is a threat of hellfire and damnation, which is arguably not the best way to proselytize. Halfway between innocuity and something much darker, the inscription reminded me of the Creole society that Edna finds herself in, a somewhat contradictory combination of freedom and rigidity. Bookpacking thus affords me deeper insight into Edna's mind than simply reading at home would. After only a few days on the road, I've already felt bookpacking's power to generate greater understanding of people, place, and novel.